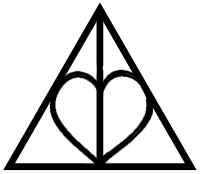 Deathly Hallows Symbol hart-, hart. . Images in the Harry Potter club tagged: deathly hallows symbol.